Traveling during the hurricane season to hurricane-prone areas like the Caribbean, the Gulf of Mexico and even the Pacific, can come with potential risks of crossing paths with one of these storms. Stronger hurricanes are now becoming more common and reaching further than the normal – like Hurricane Ophelia (2017), which reached Ireland as a post-tropical storm. The year 2017 broke the record on the most consecutive hurricanes formed in the Atlantic Ocean (since 1893), and the season is still not over. The season spans for five months, starting on June 1st and ending on November 30th, but its most active months are from August to October. Since part of the season happens during the summer travel high-season, it’s inevitable for many to avoid the warm crystal clear waters in the tropics. The good news is that a hurricane won’t catch you unaware once you’re on your trip, as they take days to develop into a significant storm and today’s weather forecasting system is pretty accurate regarding trajectory, storm strength, and date of arrival. If you’re not sure what a major hurricane is, I recommend checking this Wikipedia page that explains the Saffir-Simpson scale used to measure their intensity. But in general, Tropical Storms have sustained winds from 39 to 73 mph – quite dangerous, but often not destructive. Once the sustained winds reach 74 mph, they become a Category 1 hurricane (dangerous and can cause damage). The scale reaches up to Category 5 with winds of 157 mph or more (catastrophic). 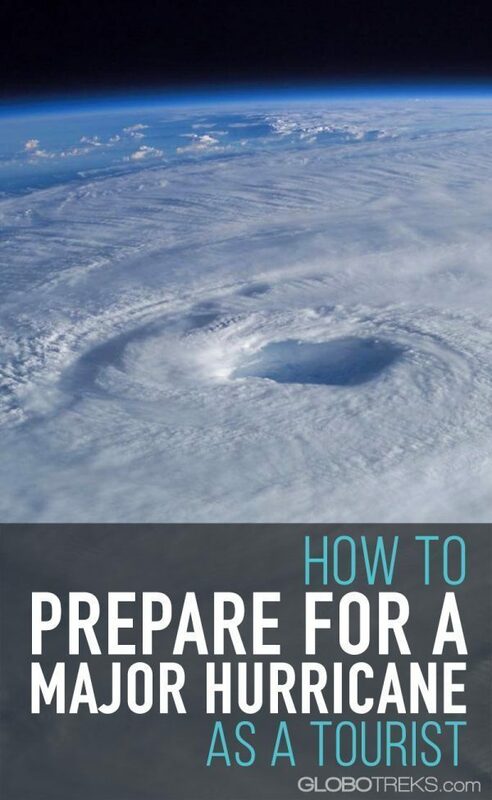 Should you already be vacationing somewhere in the Caribbean or anywhere with a hurricane alert, here are a few tips that will help you and your family prepare for a major hurricane. As soon as you hear the rumors or news of the possibility of a tropical storm or hurricane reaching where you are, do keep an eye on the current news to keep track of the storm’s intensity and trajectory. If the storm/hurricane is not close to hitting any landmass, the weather reports are updated every six hours, at 5 am/pm, and 11 am/pm EST. Should the storm be within 48 hours of hitting a significant landmass, then reports are given every three hours. While hurricane predictions are pretty good these days, there is still a margin of error, so don’t let your guard off until after it has disintegrated or passed gone way off course from where you are. I recommend following the National Hurricane Center on Facebook for updates or downloading the Hurricane Tracker app (paid) to track their development. There’s also the Windy app which provides a wind and precipitation forecast, but it is not an app focused on hurricanes, like the previous one. Ideally, you should buy travel insurance for any trip, not just for trips to places affected by hurricanes. 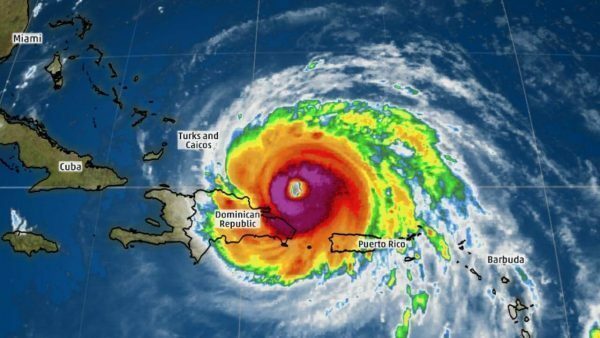 Most insurance policies offer a “Cancel for Any Reason” coverage that allows travelers to have greater peace of mind since they can cancel the trip with at least 48 hours before departure should their destination be threatened by a hurricane. This cancellation is possible even if the hotel is not affected or there’s no ordered evacuation of your destination. Of course, before buying your travel insurance, you must read the policy and small print to make sure you will be covered should such occasion arise. 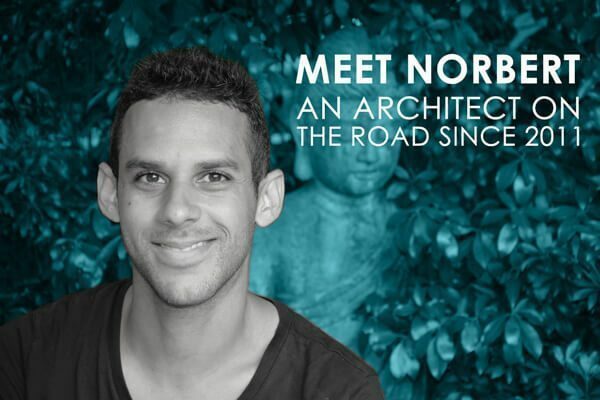 I recommend buying World Nomads travel insurance, which covers your trip in case of a hurricane (as long as it was purchased before said hurricane formed). 3. Can you get away easily? Can you drive, take a bus, flight, or boat somewhere else? 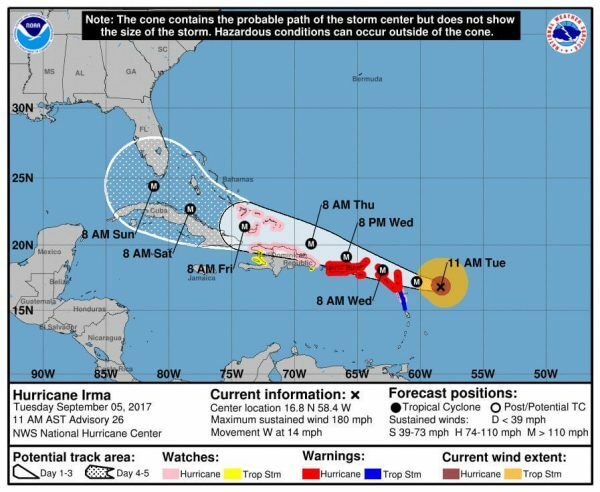 If you’re in the states, it’s easy to rent a car and drive north to avoid the inherent danger of a hurricane. Should you be in another country with land borders, it’s possible to take buses to neighboring countries that might not be affected (if you have the proper visa and documents to enter). Should you be on an island, leaving is a bit more difficult as planes or boats are your only option. Ships tend to stop operating a day or two before the hurricane and flights tend to fill up very quickly (not to mention the spike in the airfare) when tourists and locals alike decide to leave the island before the impending storm. Whether you’re staying with family, a hotel, hostel, or Airbnb, evaluate how safe is your location. Is it a beachfront property? It might be best to move inland as the storm could bring a water surge. Is it in a flooding prone area? You should evacuate and stay in a government-designated shelter. Often, the winds are not the most dangerous thing about hurricanes; it is the water and the flooding that happens during and after the storm. 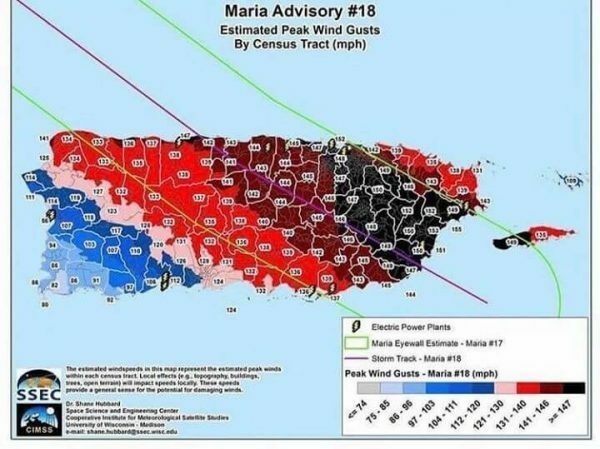 Recently, during Hurricane Maria’s strike in Puerto Rico, more people died due to flooding and landslides than the winds associated with the hurricane. Is it a wooden building? Do not stay there. Again, go to a shelter. 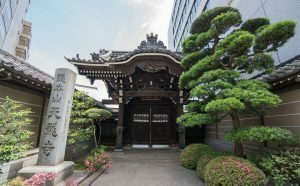 Most wooden structures are often damaged or destroyed by winds even by tropical storms. In Barbuda, Hurricane Irma destroyed over 90% of the buildings there (mostly wooden homes). Does the land look like it could slide with enough rain? Landslides often happen due to the amount of rain brought by the storm, especially in mountainous regions. Better move to a shelter. Is it close to a river? Better move somewhere far from it. Most rivers overflow during a hurricane, flooding everything around them. If your hotel is in a safe area, and the staff seems to have assessed that, it can be wise to stay in your hotel, but not in the hotel room. Most hotel rooms have big glass sliding doors that are often broken by the wind. 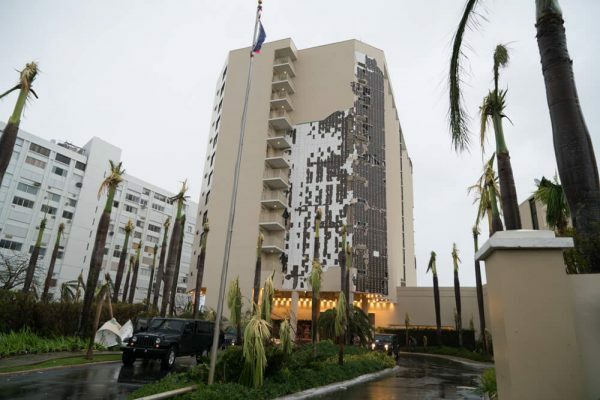 Additionally, some hotels are built with exterior wood and gypsum walls, so even though they look solid, they are technically “cardboard structures.” In Puerto Rico, the Courtyard Marriott in Isla Verde lost one of its walls, exposing all the rooms on that site to the winds and rain in the middle of the Category 4 Hurricane Maria. Hotels often have a plan to shelter all guests in their ballroom or windowless event space big enough to accommodate everyone during the critical hours of the storm. The Courtyard Marriott in Isla Verde. It lost an entire wall. If the government sends an evacuation order to your area, you must comply with it – even if the hotel staff thinks it’s safe to stay at your hotel. They know the potential damage that could occur there (mostly due to flooding), so it’s best to go to a shelter and prevent putting your life at risk. 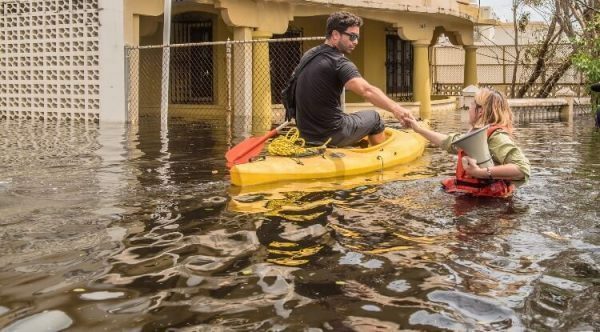 In Puerto Rico, during Hurricane Maria, some people ignored the repeated calls to evacuate their neighborhood. When the hurricane came, and the copious rains fell, most of their houses flooded, leaving them stranded on their roofs or asking for help in the middle of the storm – for hours. Know that rescue officials will not go out on the street to save you until after the storm. If the storm looks bad enough and it seems like it might have a catastrophic effect at your destination, consider moving to a hotel closer to the capital city or other major cities with a port or airport. Minimize the difficulty to get to you, or for you to get to a point of exit from the country (as many roads become impassable due to fallen trees, flooding, or collapsed bridges). One of the main avenues in Puerto Rico, blocked entirely by fallen posts. 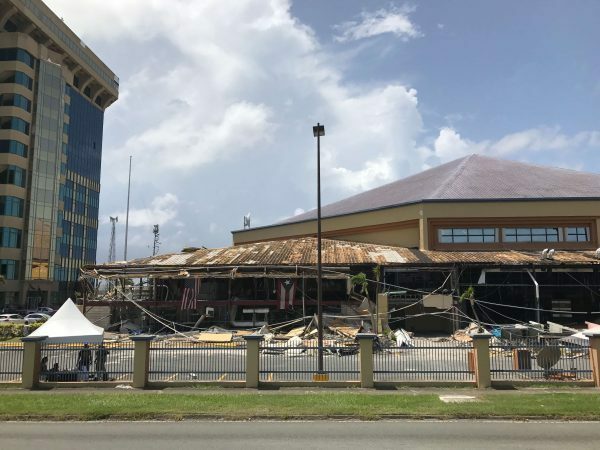 Should the catastrophic damage happen and should the country’s infrastructure collapse, often the capital city, main port and airport will be the first areas to receive aid. Also, the main cities tend to be the ones to reestablish their infrastructure first (like communication, power, and water, among others). In Puerto Rico’s example, the entire island has beautiful guesthouses up the mountain and beachfront Airbnb’s on the west coast that lures many tourists, but these areas are still lacking aid (a month after Hurricane Maria) and still don’t have any power. Meanwhile, the metropolitan area (to the north-east), is faring better on both accounts. Additionally, should you feel the need to evacuate, you will be closer to the main point of entry and exit in the country. Should all hotels near the capital city be full before the storm, consider the potential of staying at a shelter there. Should there be a collapse in the power and communications infrastructure, it is highly probable that no ATM will work for a while and the country will become a cash economy for a few days or weeks. Get enough cash a day or two before the storm to sustain you and your family for a week or two of food and water, as well as essential transportation. Hotels tend to extend their current guest’s stay for free for a limited time depending on the damage suffered in the country. Not every hotel is prepared for a hurricane. Some hotels have power generators to provide a “semi-normal” environment to their guests for a few days after the storm, but others don’t. In Puerto Rico, some hotel managers didn’t prepare adequately and forgot to fill up their generators with diesel before the storm. Some didn’t have enough food to feed their guests after two or three days. And, once your hotel is out of any of these two items of first need, they will either transfer you to another partner hotel (if available), or they will kick you out if they don’t have any other choice (yes, they will). 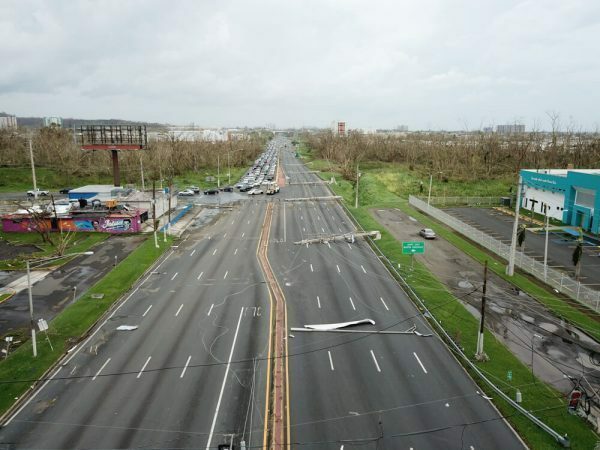 After Hurricane Maria, I spoke with a Spaniard tourist who told me how he was moved from his original hotel to another due to damages caused by the storm, and how he was later kicked out of the second one after its generator ran out of diesel. Luckily, he knew people on the island and was staying with them at the moment. So, have a backup plan to your hotel’s supply. Buy enough non-refrigerated food and snacks to last for a week. Buy enough water too. Think of being self-sustainable, as if you’re buying food and supplies for a camping trip. Also, do you know anyone at your destination that could serve as your backup shelter? After a catastrophic hurricane hits, usually all telecommunications collapse temporarily or for an extended period. Analog AM radio signals tend to withstand the storm’s impact, so it’s good to have a small battery powered (or solar, or hand cranked) radio to stay up to date with the news. 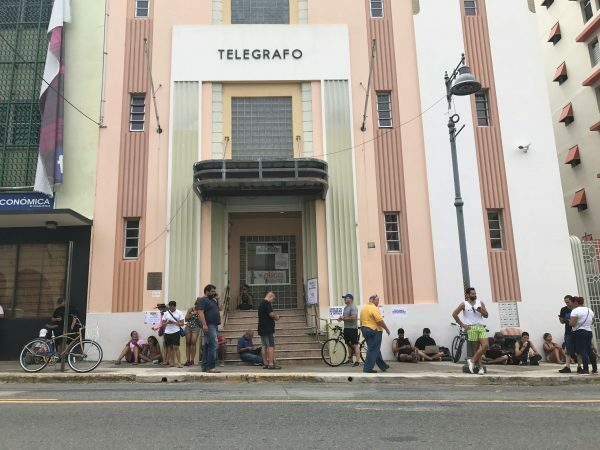 In Puerto Rico, only one AM radio station stood after Hurricane Maria. It was our only source of information for over a week. Charge your phone, laptop, tablet, camera, etc. before the storm. It’s highly possible you’ll be without power for days. If possible, also have an external power bank to serve as a backup. People standing outside the old Telegraph building, where there was one of the two FEMA wifi spots set for the public. Let them know where you’re staying, the exact address, and the current conditions before the hurricane. After Hurricane Maria, I received about a dozen messages through my blog’s Facebook page from people in the states who had family or friends in Puerto Rico but had no ways of communicating with them (and didn’t even know if they were alive). Some of them had the exact address, so in those cases, I forwarded those messages to people I thought could either be close and check their status in person, or to a Facebook group of people helping each other find family members and friends. 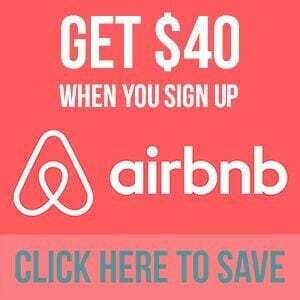 It’s also recommended to register in the Smart Traveler Enrollment Program by the US Department of State. It is a free service that allows U.S. citizens traveling or living abroad to receive the latest safety and security information for your destination country, and helps the U.S. Embassy, family, and friends get in touch with you in an emergency. Other countries have similar programs for their citizens. 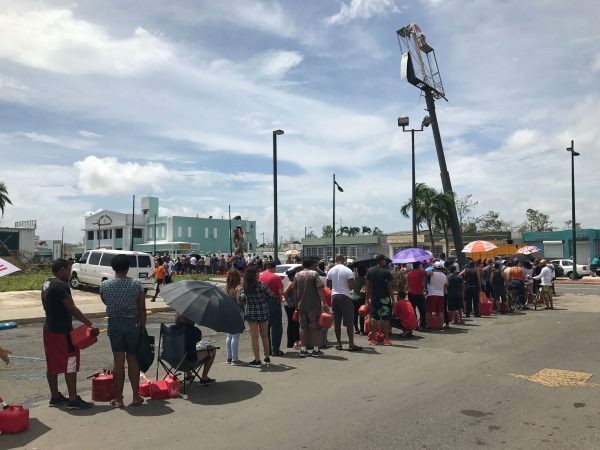 During the aftermath, prepare to stand in line for hours to buy basic items like water, food, basic supplies, gas, or to get money out of the ATM. Expect also to stand in line for hours or potentially waiting for days before aid arrives. Also, don’t expect comfort at your hotel, Airbnb, or shelter. You’ll be hot during the day, you might be uncommunicated, and you’ll be in the dark and sweating at night still. In fact, you’re one of the lucky ones if your hotel runs the A/C and water pumps with their generator. People standing in line to fill their Jerry cans with gas. While the hurricane doesn’t last more than a day, the aftermath does last for weeks or months, and that becomes a problem for travelers when it comes the time to return home. While airports tend to reopen rather quick – a day or two after the hurricane – depending on the damage they suffered, they might reopen with only a limited operation. In Puerto Rico’s case, the airport reopened 24 hours after Hurricane Maria only for military personnel and aid, and 24 hours after that just for ten domestic flights to the states (international flights started a week after). 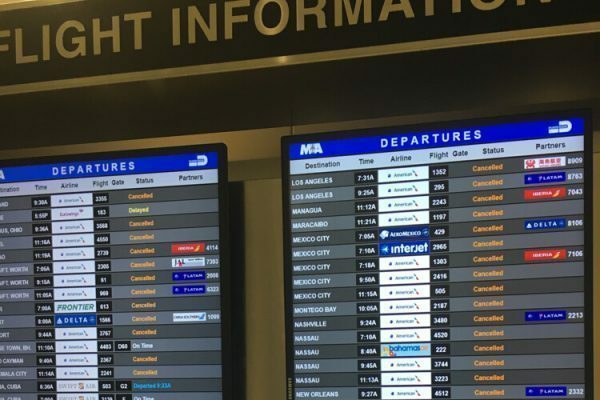 Every couple of days, as the airport normalized, more flights were added, but the waiting list of all the passengers who had their flights canceled reached to about 10,000 passengers per major airline. Should this happen to you, know that priority is given to passengers who have a ticket/seat on the current departing flight, and then the standby passengers from all the canceled flights will take the empty seats. If you’re stand-by, you could be waiting for days before you leave. Hopefully, these tips will help you prepare for a hurricane should it happen to pass wherever you’re vacationing. Know that most of these tips don’t just apply to tourist, but to locals too. But, beyond being prepared, the most important thing is to take things seriously and protect your life and that of your family.